We will be at the Soleure beer festival – Soluthurner Biertage 2019 – from Thursday 25 to Saturday 27 April. Our stand number is 59. During this time the brewery in Marin will be closed. Are you looking for a place to have an evening out, a corporate event, a birthday party, or a family or club reunion? Our brewery is heavenly! When it comes to beer, we believe that one taste does not delight all. We don’t compromise but rather push the limits of individual styles to produce intense and expressive beers. Brasserie Celestial is located on the shore of lake Neuchâtel, near the city of Neuchâtel, about 200 metres from La Tène Beach. 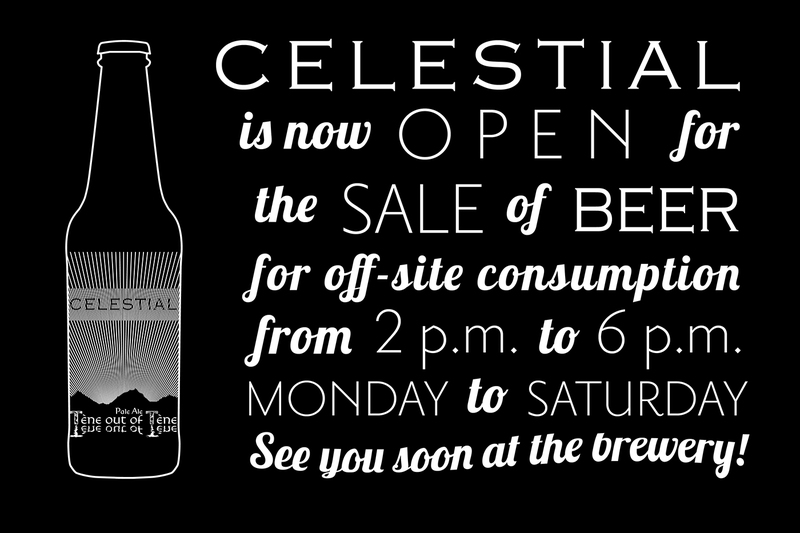 The brewery is open for bottle sales from 2 p.m. to 6 p.m., Monday to Saturday.